The Renewable Energy Business Network – Ren Net – visited Aberdeen in Scotland this week to view a district heating system in operation in Hill of Banchory Biomass Energy Centre and attend the ALL Energy Conference and Exhibition in Aberdeen, Scotland 21-22 May. The REN NET project is being delivered through Cross Border partnership, led by the North West Region Cross Border Group (NWRCBG). 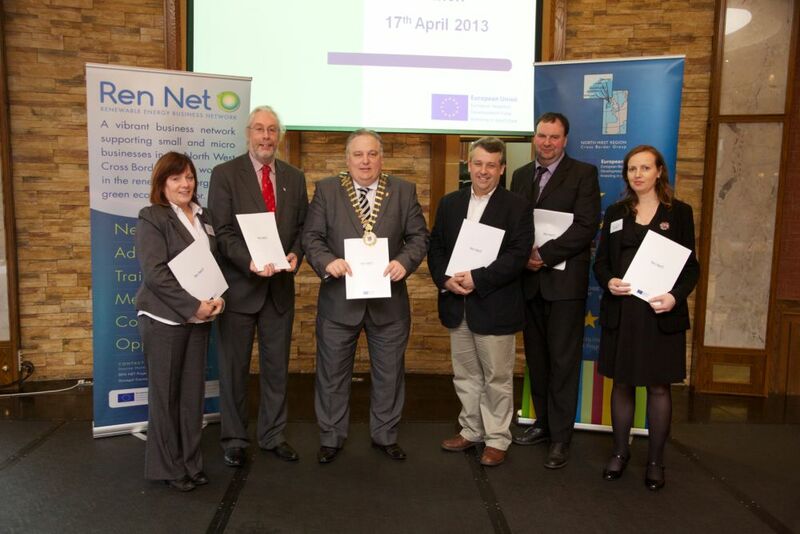 The partnership works together to develop the North West Region and is comprised of Derry City Council, Limavady Borough Council, Magherafelt District Council, Donegal County Council and Strabane District Council. 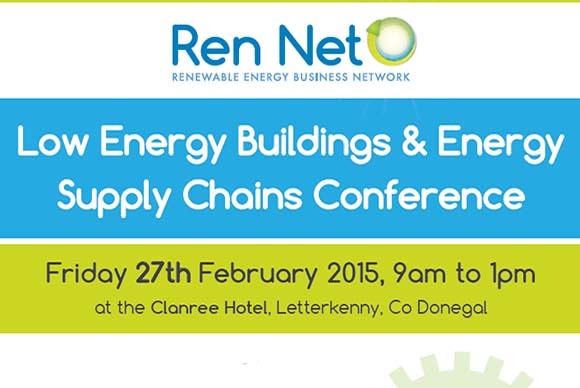 Donegal County Council is the Lead implementing Council for this particular project. 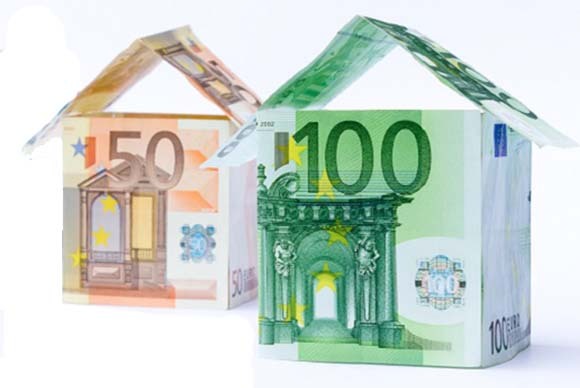 The REN NET project is part funded by the European Union European Regional Development Fund (ERDF) through the INTERREG IVA Programme managed by the Special EU Programmes Body (SEUPB). The Hill of Banchory Biomass Energy Centre and District Heating Network is owned and operated by local energy company HOBESCO and is widely recognised as a pioneering scheme in Scotland. Currently 200 houses and a business park are getting all their heating and hot water requirements from the scheme. 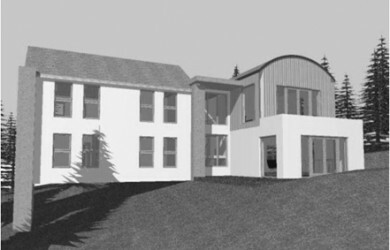 There are expansion plans to cater for 200 more houses, a leisure centre and retail units. Guy Miliken, General Manager with HOBESCO, showed Ren Net around the impressive facilities. Water is heated to 93o and stored in two 50,000 litre storage tanks before being pumped out through series of insulated pipes to nearby homes and businesses. Aberdeen, the granite city, is Europe’s oil capital but its expertise in offshore oil and gas production make it an ideal centre for offshore Renewables with all the skills, knowledge and expertise close at hand. Aberdeen is a wealthy city and is keen to become “The Energy Capital of Europe”. It is home to a huge renewable energy R&D hub focused on innovation, commercialisation and skills development, helping to support and grow renewable technologies. The ALL Energy Conference is the UK’s largest renewable energy exhibition and conference. There were conference sessions going on in 8 rooms simultaneously as well as seminars on the exhibition floor. Ren Net members were able to pick and choose which talks were of most relevance to their business or interest area. Areas covered were: Offshore Wind, Wave and Tidal, Community Energy, Renewable Heat, Energy Storage, Bio energy, Carbon Capture, Sustainable Transport the list goes on. Sir Richard Branson joined the conference live via Skype from his home on Necker Island to discuss his work with The Carbon War Room – a global non-profit organisation, founded by him and a team of like-minded entrepreneurs. This talk proved very popular and a number of Ren Net members attended. Branson said opportunities in the renewable sector are “gigantic”, no other sector is more exciting and there is a real need for more entrepreneurs in this area. He loves the idea that energy is created form natural sources like the wind and sun not “digging up dirty fuels from the ground”. As well as the Carbon War Room he has put up £25 million as a prize for an ingenious way of extracting Carbon from the Atmosphere. He is in talks to get another £25 million added – This would make it the largest prize on earth – £50 million pounds for whoever can demonstrate a commercially viable design which results in the permanent removal of greenhouse gases out of the earth’s atmosphere to contribute materially in global warming avoidance! When asked what should be done to publicise renewables, he said that the facts are strong enough themselves to win the argument, but we need to pull the rug out from under climate skeptics and make the government realise how important the renewable industry (a) creating jobs and (b) saving our beautiful planet for future generations. The All Energy exhibition was also hugely interesting with multimillion pound products on display – wind turbines, wave generators etc as well as innovative new products eg an app that can be used to visualise what a wind farm will look like (useful for planners and members of the public as well as designers). 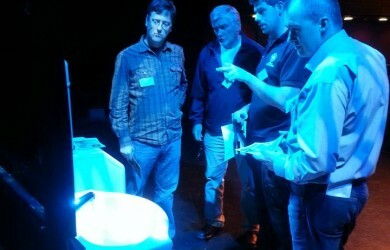 Ren Net met Donegal man – Mike Webber Weltec Biopower, at the exhibition. Mike is originally from Ramelton but now lives in New Forest, Southampton. His company Weltec Biopower manufactures Stainless Steel Anaeobic Digesters (AD). One of their products is in operation at Ballyrashane Co-op near Coleraine. 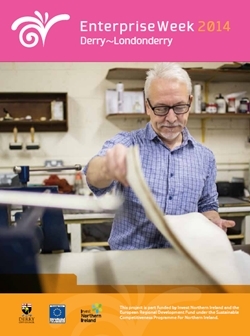 Mike provides specifications and business plan advice for businesses considering AD. Weltec Biopower also has one currently under construction at Foyle Food Group, Derry/Londonderry. Methane will be produced from current factory waste and the gas will be converted to electricity via a generator with the remaining digestate sold as a natural, bio-fertiliser. Next year’s All Energy show will be held in Glasgow 6th -7th May 2015, making it very accessible for businesses in the North West. Ren Net members benefited greatly from the best practice trip not only in terms of networking with each other but meeting the larger industry players and hearing strategies for the future. More trips are planned as it is important to that Ren Net businesses learn from advanced businesses in a strong economy, improve networking skills and be exposed to new business methodologies and ideologies. Ren Net are still seeking new members to join this successful business energy network, a special reduced once off fee of £85 is applicable and this covers all network meetings, advertising, marketing, training, mentoring and more . Training specifically tailored for small/micro businesses will be delivered in the coming months. Topics include identifying and developing tendering opportunities, basic computer skills, social media training, marketing, accreditation and certification in both jurisdictions, information on grants/support available to Ren Net businesses and their customers and how to access it. This is a great chance to join and receive huge benefits to grow your business successfully. 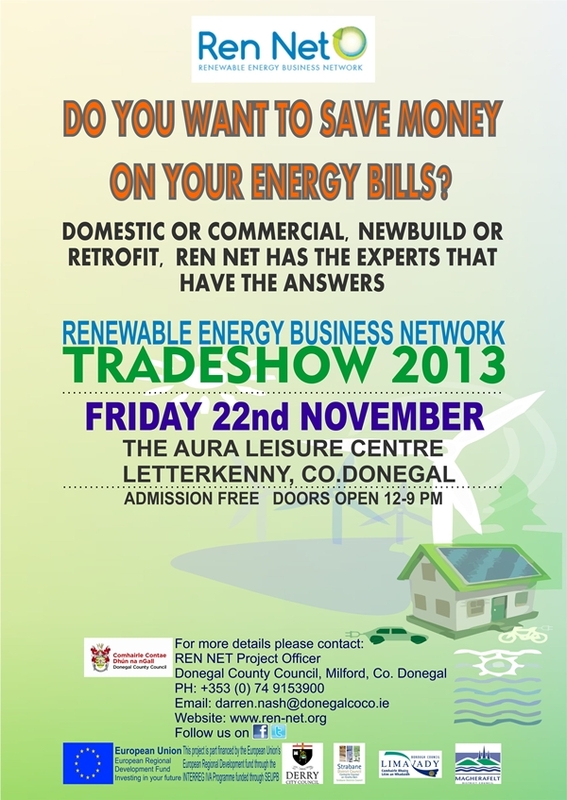 Any business involved or interested in getting involved in the green economy is welcome. Check out www.ren-net.org for more details and photos of Ren Net’s trip and for more information on the conferences www.all-energy.co.uk . 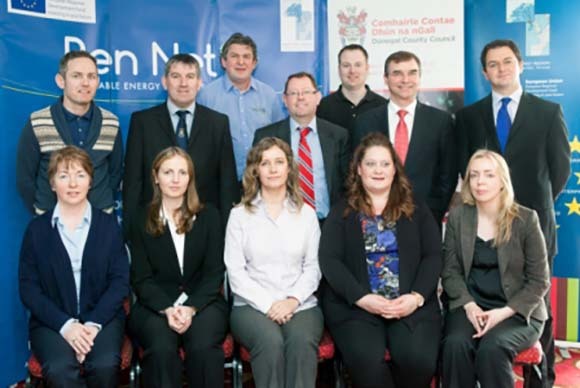 Ren Net is your local green economy network providing products, services and advice. Follow us on Facebook.